AMMONNEWS - Minister of Foreign and Expatriates Affairs, Ayman Safadi, on Wednesday held talks with US Secretary of State Mike Pompeo, focused on ways to develop the strategic partnership between the two countries, especially in economic, trade, investment and defense fields. The two ministers stressed the strength of bilateral relations and the keenness to develop them. Safadi valued US support to the Kingdom to face economic challenges, while Pompio underlined the importance of the Jordan's role under the leadership of His Majesty King Abdullah II in strengthening security and stability in the region and the continued support of the United States. The two ministers discussed a number of regional issues, especially the Palestinian-Israeli conflict, the Syrian crisis and the war on terrorism. 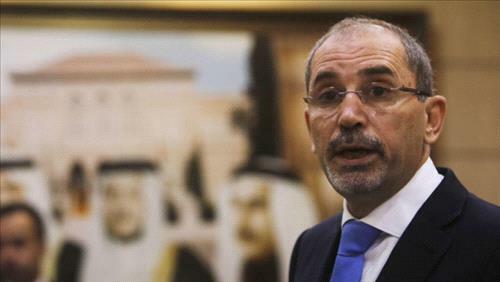 Safadi warned of the danger of the continued absence of a solution to the Palestinian-Israeli conflict on the basis of a two-state solution as the only way to achieve comprehensive peace. Both ministers agreed to continue working as partners in the war on terrorism. They also underlined the need to intensify efforts to reach a political solution to the Syrian crisis. Safadi thanked Pompeo for hosting the meeting of the Global Coalition to Defeat ISIS in Washington.